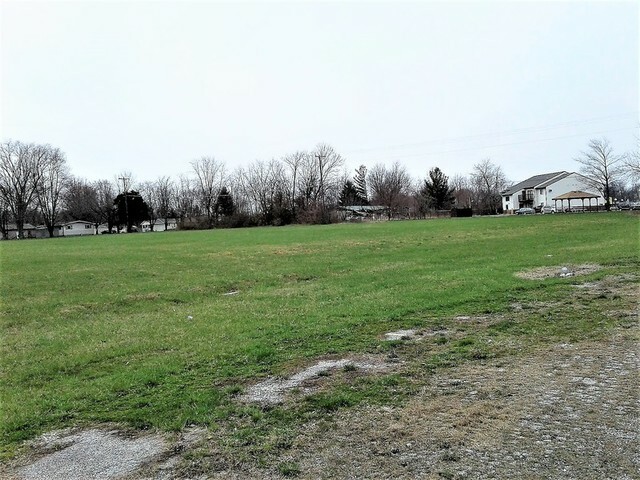 This property has 530’ of frontage on N. Walnut St. and is within the city limits. All city utilities on site or available. 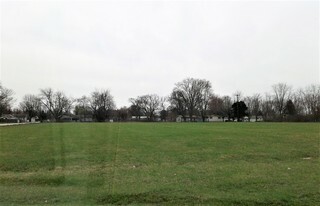 South of St. Rd. 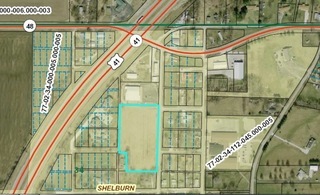 48 and the former IGA building, with visibility & access from Hwy 41, it is perfect for development. This property, with 530’ of frontage on Walnut St., is within the city limits of Shelburn and has all city utilities on site or available. Just south of St. Rd. 48 and the former IGA building, with visibility from U.S. Hwy 41, this property is situated perfectly for commercial or residential development. Seller: Don Wile, Jr.
All bidding for this auction will take place online. Bidding closes Monday, July 23, 2018. **Be sure to read the Terms & Conditions outlined here and all information contained in the Property Information Packet. **By bidding in this auction you are acknowledging having read and agreeing to the Terms & Conditions of this auction. CONDITIONS OF SALE: This is an auction of real estate. 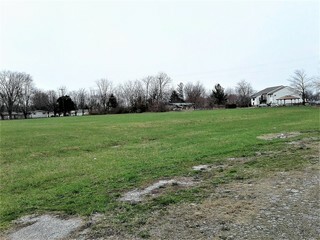 Seller represents that it has title to said property, and at the time the sale is closed, Seller agrees to convey marketable title to said property via General Warranty Deed, subject to general utility easements of record servicing said property, and such other leases, easements or restrictions as may be specifically set forth herein or of public record. NON-CONTINGENT AGREEMENT: All parties acknowledge that bids made in this auction are not contingent upon financing or any bidder contingencies. IRREVOCABLE OFFER / ACCEPTANCE DEADLINE: All bids will remain valid, irrevocable and available for the Seller’s acceptance until Tuesday, July 24th, 2018 at 1:00 P.M. EST. RESTRICTIONS: Sold subject to all respective Sullivan County and State of Indiana laws, ordinances, and regulations. Also subject to all easements and restrictions of record. 1. Property is being offered subject to seller’s confirmation. 2. This internet-only auction has a soft close feature. If a bid is placed on the parcel within the last 5 minutes of bidding time, the available time to bid on the parcel will be extended by 5 minutes. This will continue until no more bids are placed and time elapses. 3. The property is being sold in strictly “As-Is, Where-Is” condition, WITH ALL FAULTS. Neither Seller nor its agents have made representation or warranty of any kind, expressed or implied regarding the condition of the property or its fixtures. 4. A 10% Buyers Premium is being used in this auction. 10% of the accepted final bid will be added to the bid to determine the final contract price. SURVEY: Property will be conveyed pursuant to description on deeds of record. NO SURVEY WILL BE PROVIDED BY SELLER. and will occur on or before close of business on August 27, 2018. TERMS OF SALE: At the conclusion of the auction the successful bidder will be emailed a contract to be executed and returned to Wells Auction & Realty. Upon confirmation of the bid by the seller the successful bidder will submit a non-refundable deposit of $2,500.00 with Wells Auction & Realty, which will be held in escrow as part of the total payment. This must be completed within 48 hours of receipt of the documents signifying acceptance of the bid or the purchaser shall be in default. The entirety of the remaining balance is due on or before the contract closing date stipulated in the purchase agreement. CLOSING & POSSESSION: Time is of the essence, the property shall be closed on or before the contract closing date stipulated in the contract of sale. The seller will pay for preparation of the deed of conveyance, owner’s title insurance, 50% of the fee charged by the closing agent for the closing and all real estate taxes up to the date of closing. The Purchaser will pay all other closing costs. Possession will be granted at closing. LIQUIDATED DAMAGES: If purchaser fails to close for any reason within the prescribed time stated herein, and no written extension agreement has been granted by the Seller, the buyer shall forfeit all monies held on deposit. If such action occurs, John Wells, Broker/Auctioneer, d/b/a Wells Auction & Realty hereby has the right to disperse the deposit pursuant to the terms stated in the listing agreement signed by the Seller governing this transaction, and the Purchaser shall have NO claims to such money or the property being sold. Additionally, forfeited deposit monies shall be applied against the sellers damages without affecting any other remedies that the seller may have in law or in equity. Bidder is hereby advised that they could lose their deposit upon default of this bid or the contract for purchase of real estate at auction. BUYERS NOTE: The decision of the auctioneer is final. All information published, announced or contained herein was derived from sources deemed reliable and accurate; however, it is NOT guaranteed by the Seller or the auctioneers. Personal, on-site inspection of the subject property is strongly recommended. The failure of any bidder to inspect, or to be fully informed as to the condition of the property, will not constitute grounds for any claims or demand for adjustment or withdrawal of a bid. Please note you are buying the subject property AS-IS, WHERE-IS, WITH ALL FAULTS, with no guaranties or warranties of any kind. REAL ESTATE BROKERAGE SERVICES DISCLOSURE. John Wells, Broker/Auctioneer, d/b/a Wells Auction & Realty, its agents and employees, are agents of the Seller and their fiduciary duties are owed to their client (the Seller). We do not represent the BUYER in any part.